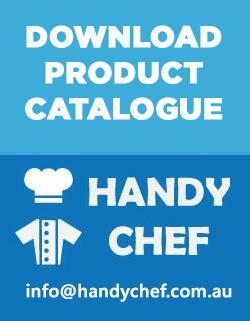 Handychef.com.au, Australia’s number 1 website that provides an extensive range of uniforms and apparel for professional kitchen chefs, hospitality workers, bakers, butchers as well as cafe staff. 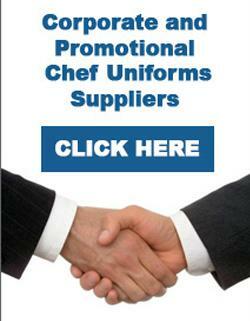 In its online website, you can effectively buy a range of products that includes chef aprons, shoes, pants, jackets, neckerchiefs, caps, and long coat for hospitality professionals working in restaurant and accommodation sector. Handy Chef Australia also provides embroidered chef jackets and shirts to those who want to have branded shirts and jackets with embroidered logo. In addition to the clothing apparel for kitchen chefs, Handy Chef also cater the needs of waiter and waitress uniforms, and cafe shirts that aim to promote the hygiene and brand recognition. Handy Chef also provides a range of uniforms specialised for kids who aspire to become a professional chef by taking cooking lessons – we do provide junior jackets, aprons, and even caps for those little children. We offer a range of jackets including piping white jackets, black jackets, 100% cotton luxury jackets as well as press stud jackets to fulfil the requirements of each chef. Our executive black jackets are specially made for the high-ranking chefs in the restaurants. Furthermore, our jacket’s piping is available in many colours including gold piping. For those who need the buttons to supplement the jackets, we also offer the variety of jacket buttons in different colours to add spice and neat appearance to the jacket. Our aprons come in three different styles: mainly bib apron, half bistro, and 3 quarter apron. These aprons do have the option to have an extra pocket and checked pattern. The children who aspire to become a chef someday can get their wish of owning quality chef jacket and aprons be fulfilled, as rest assured that we also cater the requirements for the kids who want to wear junior clothing for cooking class and practice as young cooks. For professional gourmet chefs in the commercial kitchen for a 5-star restaurant, a quality sturdy leather men’s shoe is a must-have as it helps to bring comfort and security to prevent health and injury concerns such as slips. 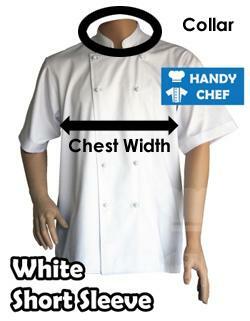 Anybody who would like to order affordable professional chef uniforms for the kitchen that is well-constructed, go to handychef.com.au to explore the range and start placing orders.